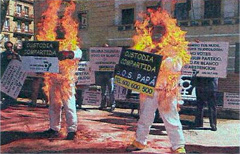 24 y 25 de agosto 2018. 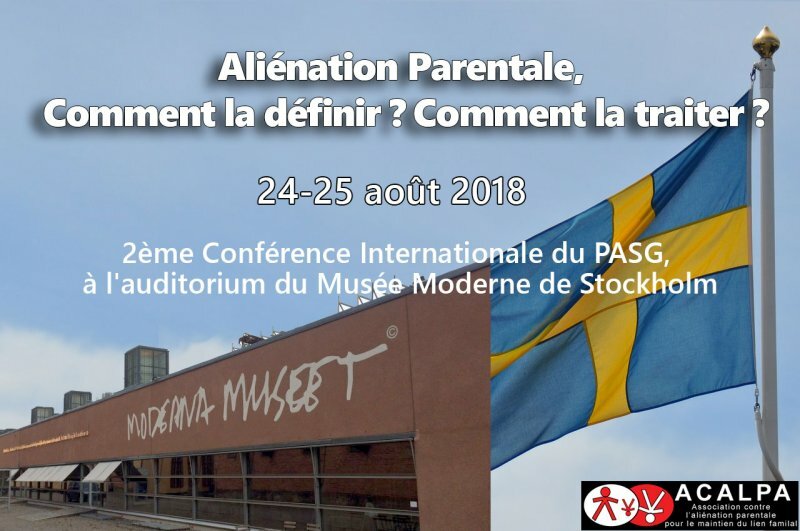 El 24 y 25 de Agosto se celebrará en Suecia un congreso internacional sobre Alienación Parental en la ciudad de Estocolmo.Parental Alienation – What Is it? What To Do About It? En estas jornadas van a participar expertos mundiales sobre la alienación parental. 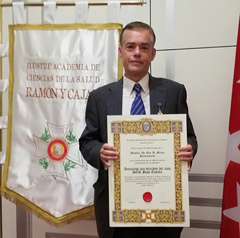 Algunos de los participantes son: William Bernet (M.D. ), Amy Baker (Ph.D.), Simona Vladica (Ph.D.), Linda Gottlieb,European Association for Parental Alienation Practioners, EAPAP, de Karen y Nick Woodall. The conference is arranged by the not-for-profit organization PASG Nordic, in co- operation with PASG, Parental Alienation Study Group, an international not-for-profit organization registered in the US with 450 members from 46 countries from all continents. Members are researchers and practitioners from different disciplines, law, psychology, sociology, medicine, psychiatry, criminology, and some family members who have experienced parental alienation. The aim is to promote research on the causes, evaluation, prevention and treatment of parental alienation and to distribute the knowledge that already exists, see www.mc.vanderbilt.edu/pasg. Two things shall be given by the parents to their children, roots and wings. dad is going higher and higher. More and more children, and also adults, suffer. The Stockholm Conference on Parental Alienation addresses professionals and researchers within the health and law sector, the school system, the police, media, and all who are interested in learning about the growing psychological domestic violence of our time from the knowledgeable lecturers who are invited. Ronald Rohner: The Child s Fundamental Need of Love and Acceptance for a Healthy Development, a TED-talk. 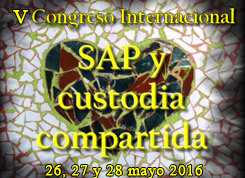 implications in the decision-making of the courts on the exercise parental authority". Ryan Thomas: Experiences of having been alienated from my mother as a child Panel: Perceptions of Parental Alienation in the Nordic Countries. Ashish Joshi: Parental Alienation: An International Perspective - From “Gardner’s Theory” to Child Abuse. Olga Odinetz:Training for French investigative police officers in family custody cases. Jennifer Harman: Parental Alienation - What Is Done And What Ought to Be Done About It? Panel: Parental Alienation what to do about it in the future? REGISTER: www.pasgnordic.com.WELCOME! Ademas de los dos dias de congreso, tienen previsto otras actividades sociales, como un crucero a Helsinki de dos noches, visitando esa ciudad. Tambien habra una conferencia extraordinaria el dia 29 en Oslo, y los dias 30 y 31 de agosto en Londres, para los que puedan asistir.